HAVEN presents its collaboration with distinct footwear brand, Timberland®. The initial need for the Nike Mars Yard Overshoe was simple: In late winter, one's feet get cold and wet. 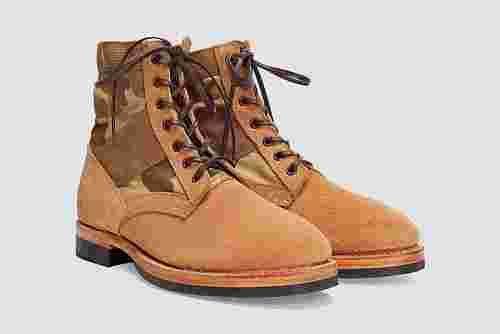 Inspired by a 1960s military boot. Made from medium-weight roughout suede that is sourced from a centuries-old Nebraskan tannery. Kith-founder Ronnie Fieg reprises his longstanding partnership with Timberland to create a trio of collaborative boots. Will be available at BAPE locations and select Dr. Martens retailers on January 27.